I’ve had the pleasure of getting to know Heidi Heiland this past year. She is a great Minnesota gardener and a profile of her and her Plymouth waterfront yard and garden will be in the May issue of Northern Gardener magazine. The issue will be online and on news stands soon. I picked up so many tidbits of info and great ideas from her. One that has stuck with me, is the notion of establishing the garden emblem in your space. 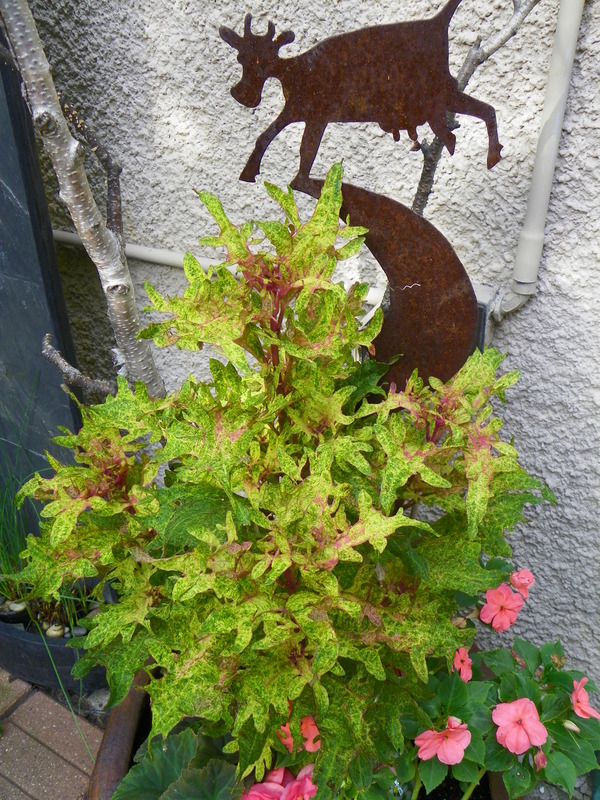 Consider placing a piece of art or sculpture that is distinctively you at the entrance or a focal point in your garden. It’s your personal billboard. Great gardens sing of the gardener who tends them and this establishes the tune of the space. It creates a harmony between the garden and the gardener. Plus, it’s pure fun. It’s your garden logo! Your own Nike swoosh. 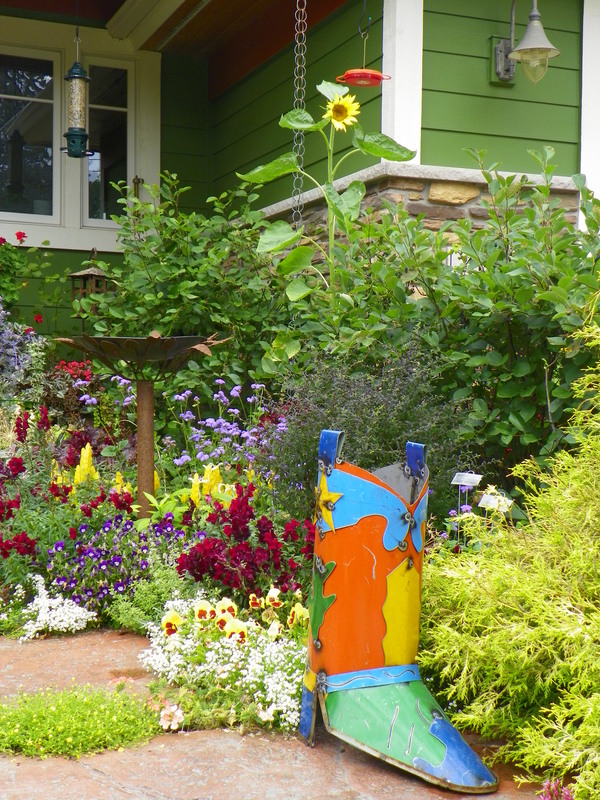 Heidi’s entry garden sports a giant cowboy boot — an homage to her cowboy hubby. Perhaps you are a farm kid at heart or a dreamer. The cow jumping over the moon says something about the gardener. 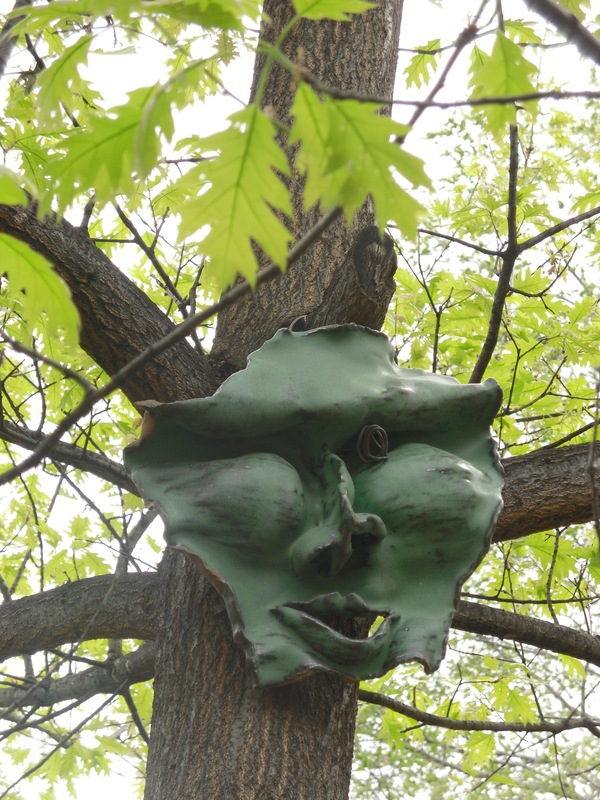 Garden masks ignite the tree spirits. We like to see faces in the garden. They make us feel less alone. 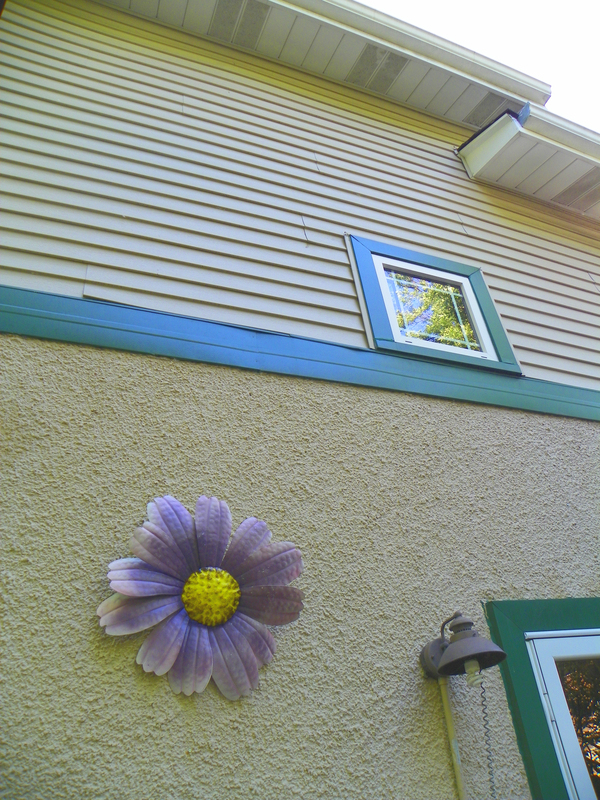 A giant metal daisy is a boutonniere for your house. A loving corsage that says so much about the home-dweller. 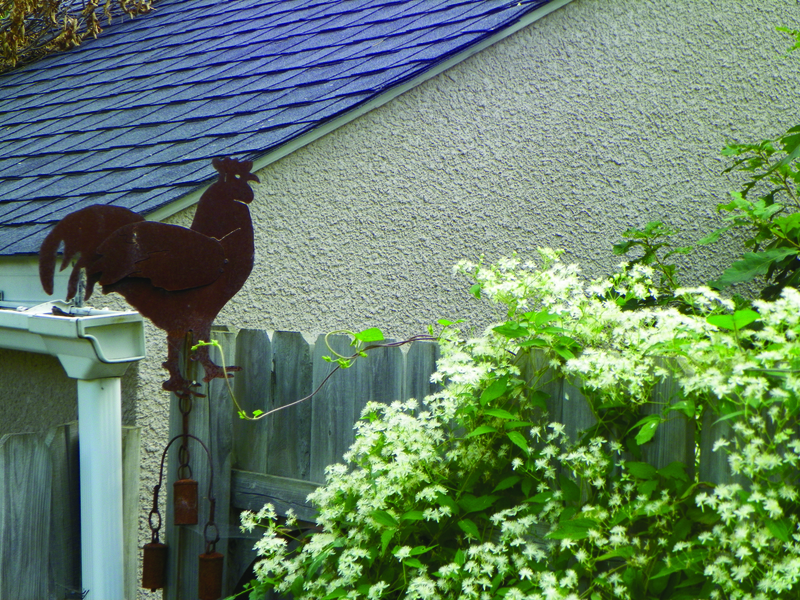 My mother’s maiden name is Klucking, so suffice it to say, chickens abound in her home and garden. Chickens are hot right now. Do they speak to you? They are a very spiritual creature. Love the flower, that is what I would pick. On my street, I guess my flowers are the logo themselves. I am the only one on my street that has a front yard that is strictly all flowers, English garden style. I can give directions to my house and say I am the only house with all the flowers in front and they know exactly which house is mine. No shrubs at all. I also have a very large pot on my front porch.